As pediatric Occupational and Physical Therapists, we may be asked to help with concussion treatment in children. 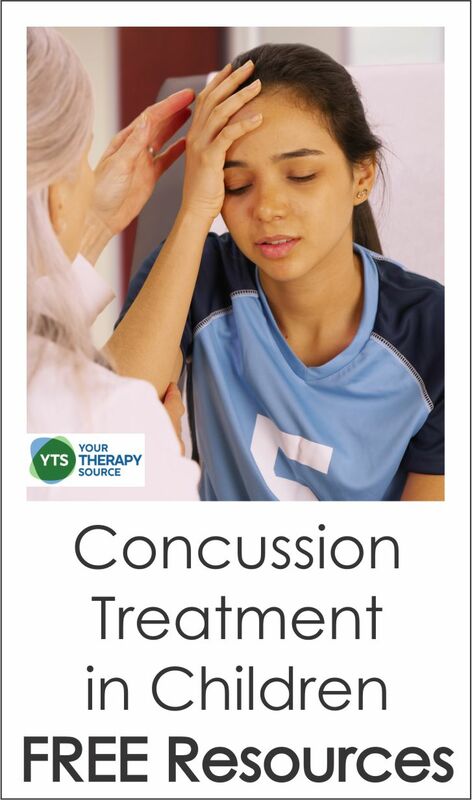 After a child experiences a head injury, concussion treatment follows specific guidelines. Are you familiar with the guidelines for returning to activity at home and school? If not, there are several helpful FREE resources from CanChild to help you learn about concussion treatment guidelines for children. re-injury to the brain during the recovery process from the initial concussion. secondary symptoms of concussion such as depression and anxiety. The CanChild protocols provide very specific recommendations regarding returning to activity after a concussion. 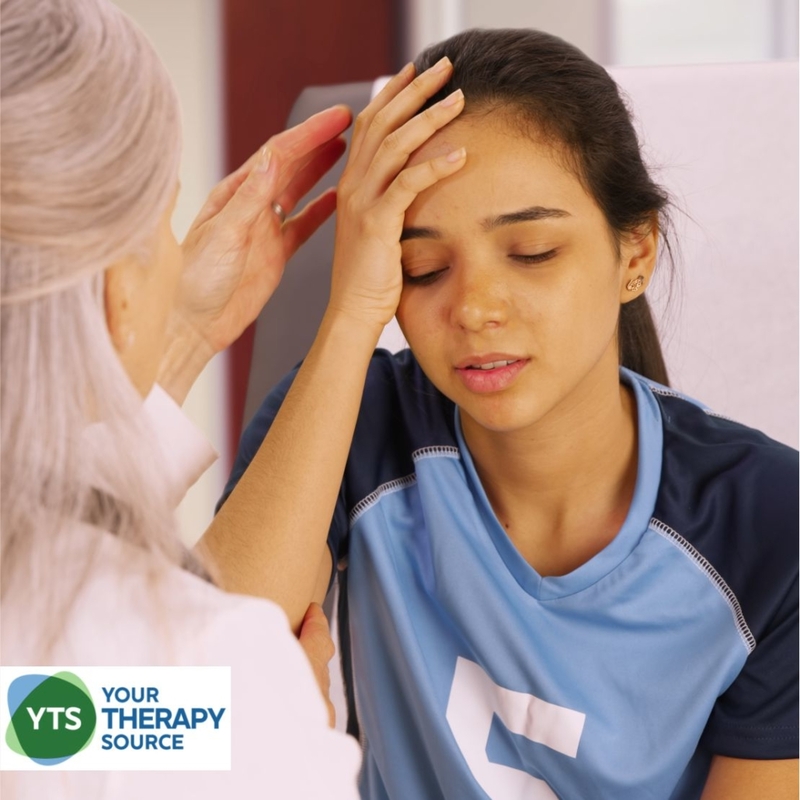 It includes sections on concussion facts, concussion symptoms, red flags, and the six stages of concussion treatment including activity levels and duration. Download your FREE resource on Returning to Activity after concussion here from CanChild. There is also a specific protocol from CanChild regarding returning to school safely following a concussion. It also explains concussion facts, red flags and the five stages of returning to school. This protocol works together with the Return to Activity protocol. It is excellent! Download your FREE resource on Returning to School after concussion here from CanChild. Concussion treatment in children is different than in adults. It is important to protect the developing brain from further harm after a brain injury and provide time to heal. Parents, coaches, health professionals, teachers, and children may have questions about when to move on to the next stage of recovery or when to return to school. These guidelines help provide step by step guidance on when to move onto to the next stage of the recovery process so that the child gradually and safely returns to school and all activity. Need Ideas for Light Activity During Recovery Stages 2 and 3?